Prominent & Leading Manufacturer from Pune, we offer agitator for paper and pulp industry. 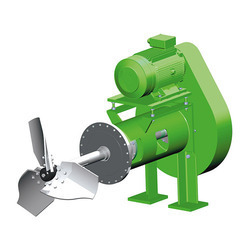 we are engaged in manufacturing and supplying Agitator for Paper and Pulp Industry. Mixing is critical and essential unit operation in paper & pulp industry. Processes like liquid – liquid mixing, gas – solid – liquid mixing, blending of complex fluids, mixing of reactive chemicals, pulp fiber suspension, addition of wet-end and other chemicals, chemical contacting in pulp bleaching are important applications. Agitator / mixer is to be selected in such a way to control the consistency and reduce the operating cost. Looking for Agitator for Paper and Pulp Industry ?